Dr. James Moore, Dean of the Faculty and Chief Academic Officer at West Virginia Wesleyan College, served as Director of Jazz Ensembles and instructor of trumpet at Wesleyan from 2006 to 2017. From 2011 to 2017, he served as the chairperson of the Department of Music at Wesleyan and has worked to build one of the most vibrant collegiate jazz programs in the region. Dr. Moore is an active member of the Pittsburgh jazz community where he is a member of the Pittsburgh Jazz Orchestra and has been a member of RH Factor—the Roger Humphries quintet. In addition to his work in Pittsburgh he performs regularly with the Norman David Eleventet in Philadelphia as well as many other collaborative ventures in that city. He has performed with the Smithsonian Jazz Masterworks Orchestra, the Bob Mintzer Big Band, Toshiko Akiyoshi, Ahmad Jamal, Sheryl Bailey, Tim Warfield, and the Lars Halle Jazz Orchestra. Moore appeared on Bob Mintzer’s GRAMMY nominated album For the Moment, released on the MCG Jazz label in 2012. He also appears on Mintzer’s joint album with the critically acclaimed New York Voices, Meeting of Minds (Live), also on MCG Jazz. In 2015, Moore appeared alongside NEA Jazz Master Phil Woods and the Pittsburgh Symphony Orchestra in a reprisal of the famous Charlie Parker and Clifford Brown with strings recordings. Moore is also an active clinician, having worked with many high school honors jazz ensembles throughout Pennsylvania and Western Maryland. He has presented master classes at countless high schools and colleges throughout the nation. 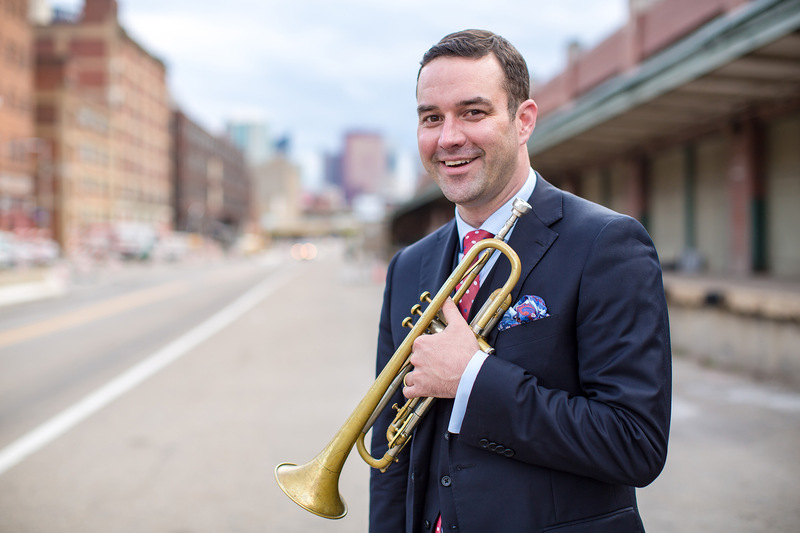 He is also a member of the Artist Faculty of the National Trumpet Competition, as well as serving on the research review board of the International Trumpet Guild. His articles on jazz trumpet pedagogy have been published by the Australian and International Trumpet Guilds.